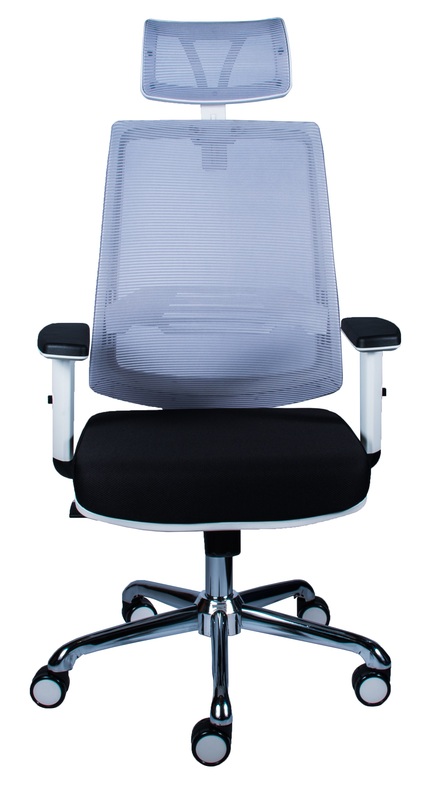 A steely blue ergonomic chair with comfortable mesh back and lumbar support. Suitable for the executive office. Say goodbye to lower back pain and take on those long working hours!